FRIDAY, Jan. 5, 2018 (HealthDay News) — A lack of exercise puts kids at risk for very adult problems, like obesity and diabetes. Now there’s also research that links exercise to their cognitive development and achievement in school. 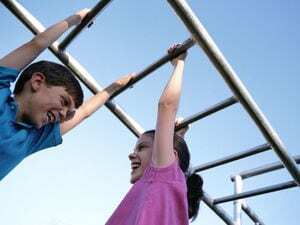 Turns out that physical activity gives the young brain needed boosts, according to a study published in Monographs of the Society for Research in Child Development. Active children do better in class and on tests because exercise seems to lead to larger brain volumes in areas associated with memory and thinking functions, such as behavior and decision-making. Active kids also appear to have better concentration and longer attention spans — being fit helps them stay focused to complete assignments, the study authors reported. It can’t be said enough that kids copy their parents’ behavior. If they see you working out and having a good time, they’ll be more likely to embrace exercise as a regular lifestyle habit. Exercise as a family, and everyone will benefit.